When I was teaching, I had a poster I used to put on the wall. 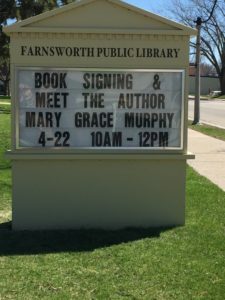 I don’t remember the exact phrasing, but something to the effect of “It’s better to have people want your signature than your fingerprints.” I agree with those words now more than ever. 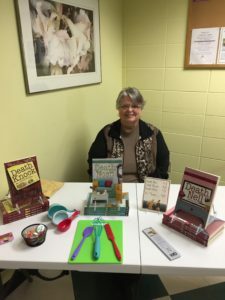 Many thanks to Kristin and the great staff of the Oconto library for being so accommodating. We are blessed with a wonderful facility in town. 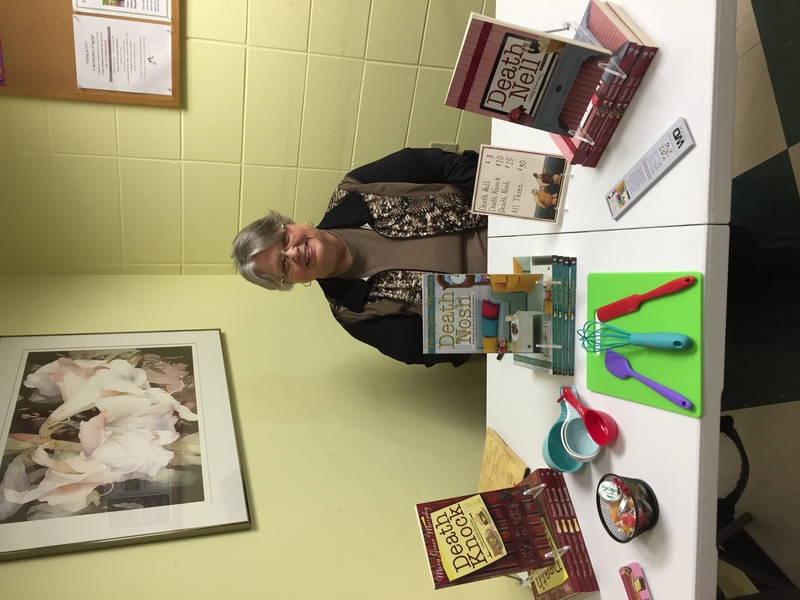 Also thanks to those who purchased books or stopped in to chat when it was such a beautiful day outside. 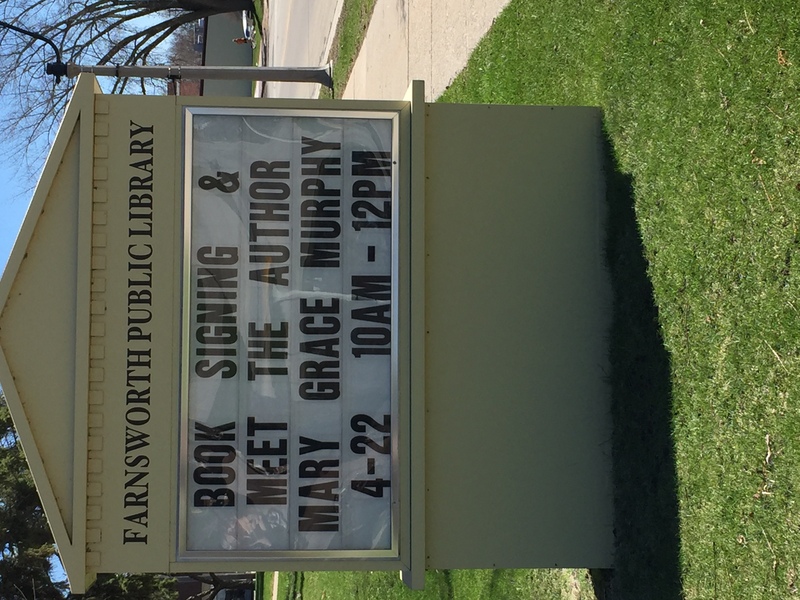 This entry was posted in Book signing, Farnsworth Library-Oconto, General and tagged Book signing, Farnsworth Library-Oconto on April 24, 2017 by MaryGrace.